DARPA's new ICARUS vanishing delivery vehicles program. DARPA admits that this “sounds like an engineering fantasy, or maybe an episode from Mission Impossible,” but for two years the agency has been working on its Vanishing Programmable Resources program, which has made progress developing disappearing materials for electronics. Now the Inbound, Controlled, Air-Releasable, Unrecoverable Systems initiative will be funded with about $8 million to work on changing Icarus’ reputation from foolhardy to ingenious. The delivery vehicles are basically drones, except they rely on gravity to get where they need to go instead of having any type of on-board power. And once they deliver the cargo to the ground, they melt away. The motivation for both projects is to protect the intellectual property behind U.S. government-developed technology so if a vehicle or electronic device is left behind, it disappears before adversaries can evaluate it. Currently, one of the effort’s most successful inventions is a polymer material that can be triggered to turn from a solid into a gas. 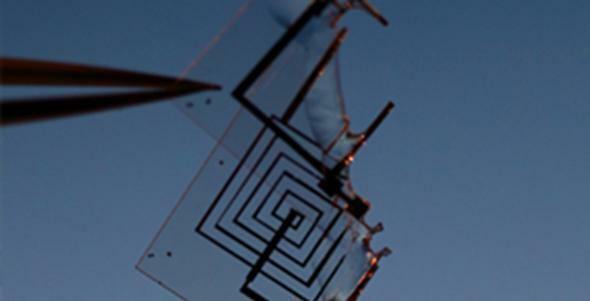 Another technology allows glass to shatter into tiny fragments at a controlled time. The ICARUS project will investigate methods for controlling vehicle flight paths and landings, while attempting to scale and expand the use of disappearing materials. Even knowing the progress DARPA has made, it’s still hard to imagine that such a technology could ever really function. If the agency succeeds, it’ll be a lot more badass than Mission: Impossible.